Barbara Truman and Kelly Roach of Eastman present FC Middle School PE teacher Sherri Mitchell with a check to purchase bikes from Chain of Fools. Eastman Chemical Company donated a fleet of bikes and helmets to the physical education program at Fieldale-Collinsville Middle School which will allow students to focus not only on fitness but also on safety and learning the rules of the road. The bikes and helmets were purchased from local retailer Chain of Fools, a local store and bicycle repair shop. In the future, school officials hope to add a Bike Smart unit to physical education classes. 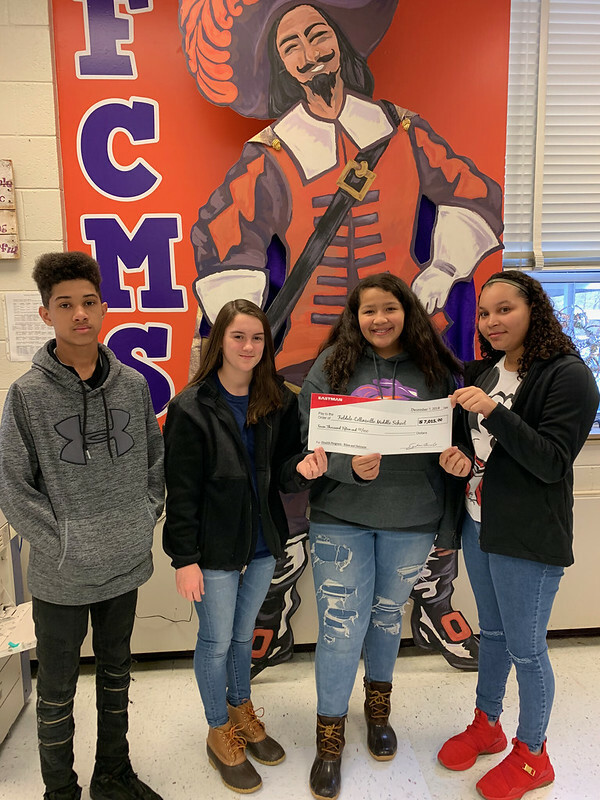 Pictured above are (from left) students William Smith, Caitlyn Haynes, Jenny Castro, and Princess Perez.